It might be the underdog, but this new pup sure can teach the established old dogs some new tricks. Take note Nikon and Canon: the Pentax K-1 has some enviable features and alluring price point that will make it an obvious buy for so many wanting to get into full-frame photography. It's been long, long overdue. But the time has come: Pentax has finally created a full-frame DSLR, the K-1. And at £1,600 this 36-megapixel monster is one competitively priced camera, certain to help Pentax make its mark in an already fiercely contested market. Pentax is so often the dark horse; the company to silently release a cracker of a camera and for it to go, by and large, unnoticed. The K-1 could go the same way because it's so late to the game - and at a time when cameras are on a downward turn. However, Pentax users have been calling for a digital full-frame DSLR for years now, so for one to arrive now is great news. After such a long wait, just what new tricks can this underdog teach the competition? Pentax likes to do things in Pentax ways. In addition to the usual manual and priority shooting modes, there's the addition of TAv (where the camera auto controls ISO but you handle shutter and aperture), or the "green button" to quickly throw the camera into an auto mode (or Auto ISO). And not content with two thumbwheels, the K-1 adds a third that, as paired with its dedicated top dial, can be used to control exposure compensation, ISO, drive mode, bracketing and more. And all of this stuff works brilliantly: it might sound superfluous, but it's the kind of stuff that helps the K-1 stand apart from the masses. Turn your attention to the rear and there's a special surprise with the LCD screen: it's mounted on a fully flexible bracket, meaning it can rotate between vertical, horizontal and combinations of these positions for all kinds of off-centre work. It's a super rugged screen too - you can hold the camera by this bracket without worry it'll snap - and, again, the kind of thing other full-frame DSLR makers should really be putting into cameras. As positioning works in a two-fold way it can feel a bit fiddly, but you'll get used to it. Sadly, however, Pentax has foregone the decision to use touchscreen technology, which is a huge shame when cameras like the Canon EOS 5D Mark IV include it. There are additional quirks too. Pull that screen out and four LED lights beneath can be used to illuminate the surrounding buttons to make night-time work a little easier. There are even LEDs positioned above the lens to read old aperture markings and make lens-changing easy, in addition to the dual SD card slot having one. Each of the three areas can be turned off individually, while the screen and lens options have two brightness levels. It's all about the details. The mention of that particular Canon DSLR puts the Pentax K-1 in its place - both is positive and negative light. On the one hand, the K-1's body-only £1,600 asking price is some £2,000 less than the Canon; however, the K-1 isn't nearly as capable as the Canon (and some of the competition) in a variety of areas. With that flexible screen positioned at an irregular angle, the first thing we find to be behind the curve is the Pentax's live view focus ability. It works, it's fine, but it can mis-focus entirely and often has to hunt out finer focus. We've also had some final shots that aren't bitingly sharp given where the camera has chosen to focus. Live view is also where video capture happens. Pentax, compared to its peers, has by and large neglected this area of the specification: the K-1's 1080p30 capture is a long way from 4K. Whether that matters on bit to you is another matter, of course, as this is a stills camera first and foremost. Still, for the money this weather-sealed chunk of magnesium alloy has a strong feature set. If, that is, you can find the necessary lens line-up to join it. Pentax's latest lenses are often weather-sealed (WR-designated), which is great, and while there are some spectacular old lenses in the range - they tend to be rare. So where the K-1 appeals most, we suspect, is to someone who already has the glass and isn't interested in starting from scratch. Otherwise the sheer breadth of Nikon and Canon lenses make those companies' competitor models highly tempting alternatives. Like we say, Pentax likes to do things in Pentax ways. In the case of the 36.4-megapixel sensor, being the same Sony-made one as found in the Nikon D810 wasn't good enough; so the company has removed the low-pass filter and employed a 5-axis image stabilisation system (dubbed SRII) that, in essence, means the sensor floats in space. It's why you'll hear a kind of hissing sound when it's active and surroundings are particularly quiet. Predominantly this is used for image stabilisation to counter movement on any axis, countering pitch, yaw, roll, horizontal and vertical movements. This system will ensure any lens gets the best stabilisation - including K-mount legacy lenses right back to 1976 (the older ones will be manual focus only, though). That's great news, although we've found some of our live view shots to not necessarily give the very sharpest results - which seems odd for a low-pass filter-free DSLR. This feature can be used for all manner of other things too. Features like Horizon Correction, where the sensor itself moves to accommodate a straightened horizon; or Pixel Shift Resolution where the sensor uses its stabilisation system to move by a single pixel in four directions, capturing full RGB data per pixel (now with a movement detection algorithm to negate motion in such images). There's even an AA Simulator (for anti-aliasing) that can be used in situations where moiré might be an issue - the camera can use the SRII stabilisation system to produce micro-vibrations to move the sensor at a sub-pixel level during exposure. And if you're into astrophotography then the built-in GPS and digital compass might be of particular interest. By feeding the data from these sources a tripod mounted K-1 can use its Astrotracer function to physically move the sensor to trace the movement of celestial bodies without the need of an equatorial telescope for sharp, non-star-trail results. Now that's smart if that's your specialism. And you thought GPS was just about geotagging. Before we get carried away with quirky details, however, let's take a look at the autofocus system. The K-1 is the first to introduce Pentax's SAFOX 12 AF system, complete with 33 autofocus points and low-light sensitivity to -3EV. On paper that puts it up there as fairly competitive. In reality, however, the system just doesn't have the same swiftness as you'll find in Canon and Nikon competitors - and we've been using the new Pentax 24-70mm f/2.8 lens, which is no slouch. That's not to say the system is slow, though. It's fine, so long as you're not expecting the best of the best for fast moving action and continuous autofocus. But then at 36-megapixels this sensor, like that of the Nikon D810, is perhaps better suited to landscape and still life work anyway. And here the Pentax K-1 can certainly shine. Of those 33-points, 25 are cross-type for heightened sensitivity, with full array, 9-point grid or a single point available for selection in either single or continuous autofocus. The arrangement of points is a fairly central one, with the two larger outermost points rarely used - but they are selectable. Adjusting focus point position depends on the four-way d-pad to the rear, which works fine, but as we've become more accustomed to dedicated joysticks on recent DSLR cameras, such as the Canon 5D Mark IV, it's a shame Pentax doesn't provide a similar kind of experience. But then that wouldn't be very Pentax, we suppose. With a proven sensor at its heart, the Pentax K-1 does a grand job when it comes to image quality. The balance of colour and exposure is different to its nearest rivals, but handled correctly and the depth available from full-frame is a sumptuous sight to behold. Resolution at 36-megapixels might be a concern for some shooting action photos, which will require a bump in shutter speed to ensure absolute crispness. If Pentax had opted for a 24-megapixel sensor it might have been more versatile and dynamically capable than the Nikon D810, but then it would, no doubt, be accused of being behind the curve too. As it is, Pentax has made a sensible decision for this target market. Sensitivity ranges from ISO 100 up to a head-in-the-clouds ISO 204,800 expanded range, the latter being overkill really. By default the camera attempts to operate in Auto ISO up to ISO 3200, but this can be adjusted and capped as you see fit. And we wouldn't fear shooting at ISO 3200 by any means: a shot of some kitchen oils (above) shows there's ample detail and colour in the frame, with little visible image noise of any description visible. That goes to show that Pentax has got its high ISO processing under control, although we find it's a little harsh by default: JPEG shots lack the biting detail and grain of their raw counterparts (which, as they're available in DNG or PEF, can be opened in any Photoshop version from day one). Even at higher sensitivity levels, such as ISO 12,800, the results look great. As the files are so physically large there's plenty of scope to hide away any imperfections when not using images at a large scale. In an ISO 12,800 shot of a fireplace there is some colour noise - flecks of green and red are noticeable in the shadow areas - but it's well controlled, and effectively invisible at small scale, as below. Then there are the lower sensitivities, which is where the magic happens. From ISO 100 to ISO 800 everything looks great, with only some slight mottling being more present at the higher end of this range. The crispest results, inevitably, come from ISO 100 - and it's great to see this present when some older Pentax DSLR cameras were only able to shoot from ISO 200 minimum. Ultimately, if you want ultra-high resolution files that are on par with what you will get from the Nikon D810 then the Pentax K-1 achieves the job. It handles scenes in its own way, with a different balance of colour and exposure, but the information stacked into those raw files provide a far-reaching palette that is an excellent - and affordable - route into full-frame photography. The Pentax K-1 is one of the more interesting DLSR cameras we've seen in recent years. One, because it's the first digital full-frame camera from the company - and about time too. Second, because it crams in so many features - many of which its better-known peers could learn from. And third, because it's so much more affordable than the near competition - approaching £800 less than the Nikon D810 and some £2,000 less than the Canon 5D Mark IV at the time of writing. It doesn't have the best autofocus system going, nor is it the fastest continuous shooter out there (at 4.8fps), while video feels like an afterthought. 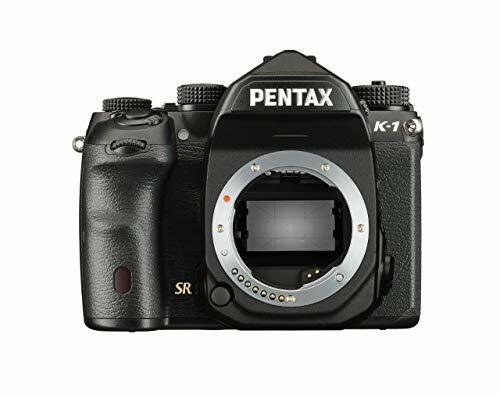 But features like the flex-tilt screen and 5-axis stabilisation (plus the many additional features this graces the camera with) ensure the K-1 stands out from the crowd in its own way. It might be the underdog, but this full-frame pup sure can teach the established old dogs some new tricks. Take note Nikon and Canon: the Pentax K-1 has some enviable features and an alluring price point that will make it an obvious buy for so many wanting to get into full-frame photography.